That blue, blue sky behind me is stunning, no? Photo credit: Stacy Doolittle. 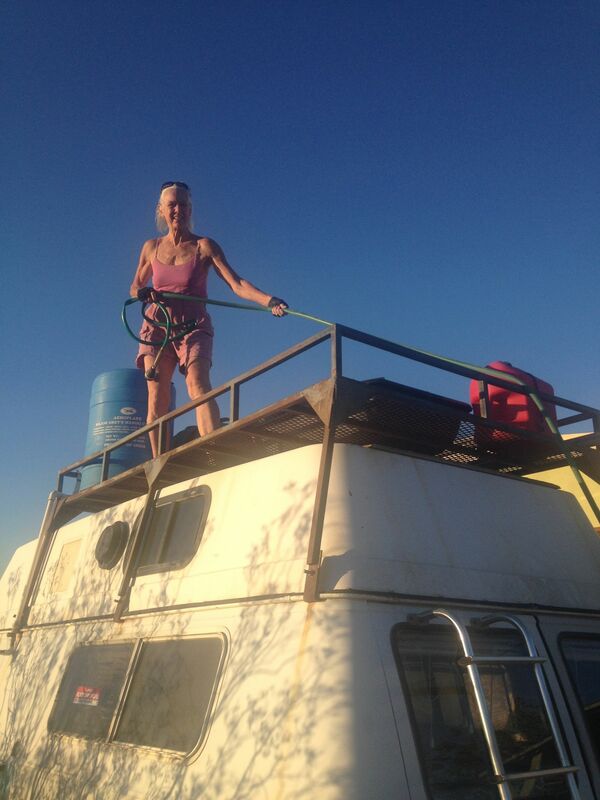 She happened by as I was prepping TANK for 12th trip to the playa, aka Burning Man. We blast off into that wild blue yonder soon, me and Bela, the Burner Cat. This will be her 10th Burn, more than most humans. 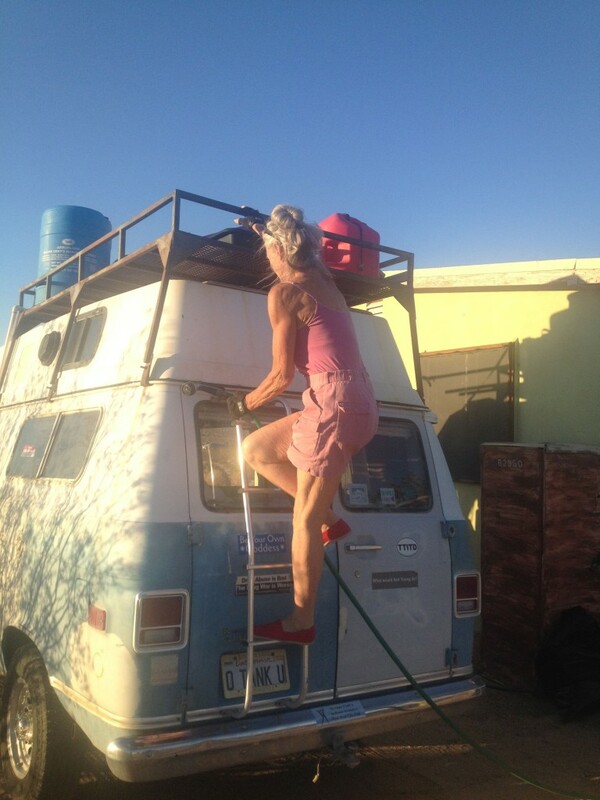 Also behind me is the blue shower water barrel; I’m dragging the garden hose up the ladder and cleaning it for the trip. Lots to do yet before we leave. Propane issues top the list. Upgrade to enlarge propane storage capacity seems to have backfired. TANK is sturdy, if ancient. Named by Rick Corbin. May he rest in peace. When asked his opinion about my 1-ton-chasis van purchase, he inspected and crawling out from underneath, looked up to me and said, “Karen, this thing is a TANK!” Thus the vanity plate which reads ‘O TANK U’. Thanks to the Air Force for use of their theme song. No sailing the mighty Highway 395 until Chris, Desert Bound RV, helps me to unravel the gaseous mystery and lack of working stove and fridge. More later.